English professor Kandi Tayebi will expand on some of the duties she has performed as associate dean of the College of Humanities and Social Sciences to encompass the whole university beginning Sept. 1 as the recently-appointed dean of Graduate Studies and associate vice president for Academic Affairs. Tayebi will replace Mitchell Muehsam, who took over as the dean for the College of Business Administration on Aug. 1. “I am excited to have the opportunity to work with faculty, staff and students across the university to improve the graduate programs at Sam Houston State University,” Tayebi said. “Dr. Muehsam laid a strong foundation of excellence for graduate studies that I hope to build on in the future. Tayebi came to SHSU in 1999 from the University of Northern Colorado as an assistant professor of English, teaching courses in British, American and world literature, as well as composition and critical theory. 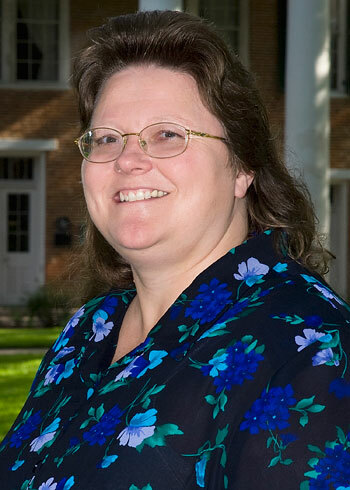 She earned tenure in 2002 and received the title of full professor this year. Tayebi has served as associate dean of the College of Humanities and Social Sciences since 2004; was the Southern Association of Colleges and Schools report co-editor; served as chair and chair-elect of the faculty senate; and has served as the principal investigator for the McNair Scholars Program for the past six years. In addition, as the director for the English graduate program, from 2000-2002, Tayebi helped to increase enrollment from 21 to 87, assistantships from three to 10 and scholarships obtained by English graduate students by 250 percent. In her new position, Tayebi will perform on a broader scale similar duties as those she performed as CHSS associate dean with overseeing curriculum and revising graduate catalogs. She will also oversee all of the university’s 59 graduate programs; complete reports for the Texas Higher Education Coordinating Board; and work closely with the provost and the associate provost in reporting the university’s accountability measures, as well as other projects. “We are delighted with the appointment of Dr. Tayebi,” said David Payne, provost and vice president for Academic Affairs. “She bring extensive experience as an associate dean and has been one of the leading figures in our successful SACS accreditation efforts. “Dr. Tayebi will bring great strength to our graduate programs and will continue to build on the strong foundation that has developed the last few years under the leadership of Dr. Mitchell Muehsam,” Payne said. While Tayebi will be giving up her teaching position to be a full-time administrator, she said getting back into the classroom is something she hopes to do as soon as she can. “After I’ve been in the position a while and am able to get my feet wet, I’m hoping I’ll be able to go back and teach a class here and there,” she said.